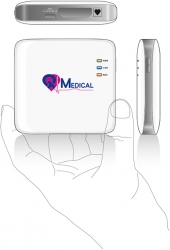 MobilDrTech, Inc. has entered into a partnership with award winning startup QT Medical to introduce the PCA 500, the world’s most compact, wireless, 12-lead ECG system for personal use. Several health trackers including Apple Watch 4 can record single lead ECGs and identify arrhythmias, including atrial fibrillation or AFib. A 12-lead ECG can do much more and remains the medical standard for comprehensive medical evaluation, such as for the diagnosis of arrhythmia, cardiomyopathy, myocarditis, and importantly, heart attacks (STEMI). 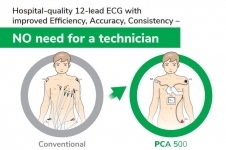 Because special training is required for the operator to place the leads and conduct the ECG, 12-lead ECG diagnostics has historically been limited to clinical settings. QT Medical’s Personal Cardiac Assistant (PCA 500) is the first hospital grade, 12-lead ECG designed for use by the patient without the assistance of trained medical personnel. PCA 500 is digital, wireless, and mobile friendly. It is smaller than a deck of cards, fits in the shirt pocket, and works with iOS and Android phones and tablets. The system uses flexible strips to combine the electronic leads and to help position them around the chest area. Instructions meant to be easily understood by average people help to make sure that each of the twelve leads is placed in the correct spot. Once the system is ready and the leads are placed, the control unit is activated to make a recording. In a clinical trial, it was found that over 95% of patients with no training, and no experience with ECGs, could do a full 12-lead ECG test after reading simple instructions. 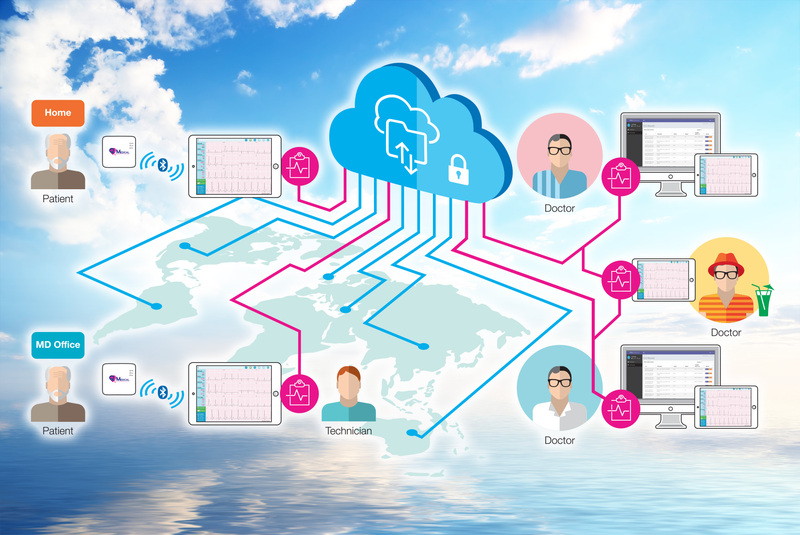 This revolutionary system will enable patients with heart disease to do timely, hospital quality, 12-lead ECG tests at their convenience and in the comfort of their homes and send detailed reports to their physicians. PCA 500 is currently a prescription based device. Please download the brochure below and discuss with your primary care physician or cardiologist to decide if PCA 500 can help you to manage your disease or symptoms. Click here to view the company profile of MobilDrTech, Inc.
Click here to view the list of recent Press Releases from MobilDrTech, Inc.